What matters most to your business? Is it the generation of as much profit as possible through any means necessary? Is it a reputation as a morally conscious, eco-friendly brand? Is it a presence in as many countries worldwide as possible? Whatever your corporate targets, one thing that should definitely be near, or at, the top of your priority list is a high degree of customer satisfaction. Remember, a business idea may be theoretically excellent, but a failure to care for the customers you have will nullify the effect of that business idea. With VoIP technology now becoming widely available to even small businesses, companies have no excuses for not delivering quick, effective replies to customer queries. A business may have been restricted by its opening hours when using a traditional phone model, but VoIP facilitates round-the-clock service, so customers are justified in expecting a query to be addressed no matter what the time. The reasons for always-on connectivity are twofold: VoIP created localized toll-free numbers for each call center around the world, so even if it’s late at night in your country, there’s a strong chance that you’ll be connected to a customer service team operating in a time zone during their daytime. That may not even be necessary, as VoIP enables staff to be online at any time of day and from almost any location. Theoretically, a customer service agent can help with your query while sitting beside their fireplace. Another significant benefit of VoIP as regards customer experience is that, in most cases, a query is handled by the same person from start to finish. This cuts out a lot of the annoying nonsense whereby a customer is shepherded to different people every time, which requires them to recount the same details to several people and wastes time that could instead be directed towards finding an effective resolution to the query. Also, as calls are directed to agents who are qualified to deal with specific matters, it all but eliminates the dreaded response of “I can’t help you as this isn’t my field”. 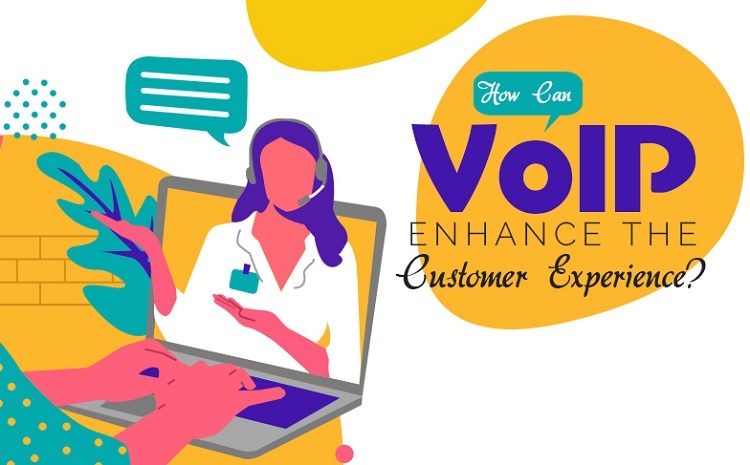 The team at Paradyn put together an infographic on the topic of VoIP and its effect on the customer experience. With global revenue for the VoIP industry set to reach the seismic figure of $200 billion by 2020, this is a sector which has evidently been embraced by numerous businesses worldwide and, when you see how it can strengthen the B2C relationship, it’s no surprise that VoIP is thriving to such an extent.